The key to doing anything well is practice. I tell that to all my students pretty much on a daily basis. You have to practice everything. 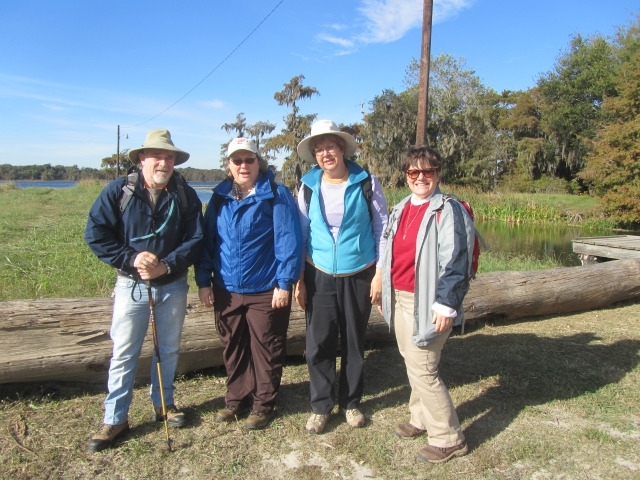 This past weekend I practiced with some of my Camino companions hiking through the woods of Central Louisiana. I know how to walk. I only travel with a backpack, so you would think that I know I can walk with a backpack, but I showed up for practice. So it should come as no surprise that the key to living as a Christian is practice, everyday. You can’t just be a Christian on Sunday, maybe Wednesday’s and perhaps when it would be convenient or timely. Being Christian is all the time, that whole 365/24/7 thing. And we don’t get it. We only become more, when we practice more. When I was a kid, I got blisters on my hand once while raking the leaves in the yard. My dad told me it was because I didn’t do it often enough. The rational child (adult) that I was (am) said in response, but the leaves only come down in the fall. Missed the point completely. He meant I wouldn’t get blisters if I practiced. I wouldn’t feel so far from God, if I stayed close. If my life was a series of Christian practices, rather than Christian conveniences, then maybe the thin places would be more obvious.